Are you thinking about having a towbar attached to your vehicle in order to tow a caravan or even a trailer? If you are, look no further than The Towbar Company to provide the highest quality service for towbar fitting Poole offers. We have years of experience and a range of products, so call us today on 07778 343464. At The Towbar Company, we specialise in a variety of towbars and offer a mobile service for fixed towbars as well as detachable ones. In addition to towbar fitting in Poole, we also provide a wide range of accessories. If you own a modern car and require towbar fitting, Poole clients can rest assured knowing we use the very latest in dedicated wiring kits. These will directly communicate with the managing systems of your vehicle. They are strictly fitted to meet all manufacturer specifications. 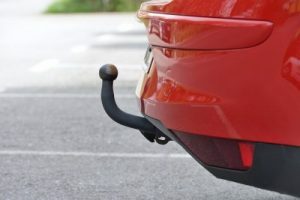 Whatever you intend to tow, we are confident we can provide the correct product and high-quality towbar fitting in Poole. This service is offered at a fantastic price that will not break the bank and suits any budget. Our team are experts when it comes Poole towbar fitting. We guarantee a transparent service for the duration of the fitting and always pay attention to the smallest detail. The Towbar Company are Bournemouth based professional fitters of towbars and their accessories. This makes us ideally located to provide expert service for towbar fitting in Poole. As well as servicing these locations, we also provide our services across Salisbury, Andover, and Southampton. You can trust our professional team to provide a fast and efficient service that will get you on the road in no time at all. Our fitters possess more than 25 years of specialist industry experience so you will know you are in safe hands with them. Excellent customer relations are at the heart of everything we do as a company at The Towbar Company. We want all our clients to be able to relax knowing they will receive a stellar service each and every time you hire us for towbar fitting, Poole. The Towbar Company offer a service that is fully mobile, which means that we will come to you at a time that is suitable for you. You will be able to get on with your day with minimal hassle as we always aim to keep downtime to a minimum with our Poole towbar fitting service. All our work is fully insured and compliant with manufacturer specifications. This means you will not have to worry about our service voiding your vehicle’s warranty. We are proud to say that many new requests come to us via recommendations from previous clients. This means that our clients have been left so satisfied with our service and results that they recommend us to friends, family, and colleagues. If you would like to read some of these for yourself, please take a moment to browse through our testimonials page. Once you have, we are confident you will understand why we are the premier company for towbar fitting Poole has to offer. To find out more about our services or to get the ball rolling on your new towbar fitting, Poole clients can contact us today on 07778 343464. Alternatively, you can fill out our simple online form and a member of the team will respond as soon as possible.